As the Dromore Diocesan Historical Committee was deliberating about how to celebrate its Silver Jubilee most fruitfully, the motto of the Society's Journal came to mind - "Quod scripta manet," (What is written remains), - and it seemed appropriate to celebrate the Faith dimension of the diocese by producing a history of the various parishes. The question arose as to how to undertake this task. 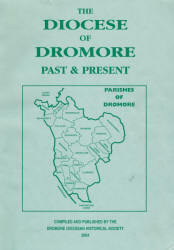 The two viable alternatives were, either to compile an academic, in-depth evaluation of the progress of each deanery and parish within the Dromore Diocese, or to provide an interesting account of the history of each parish which can be added to by groupings or families within various districts. Taking into account the time-factor and the financial constraints which are always present in worthwhile projects, it was decided to adopt the latter approach to the compilation of the Diocesan Book. The task of compiling the parish chapters was, in some instances, borne by members of the committee and, in others, local parishioners agreed to contribute accounts for their particular parishes. I thank the contributors very sincerely for the time and effort they have spent with this important work and I congratulate them warmly for the quality of their research and contributions. It is my hope that the Diocesan History will adequately reflect the richness and diversity of community life within each parish and within the diocese by recording the depth, generosity and quality of Faith of past - and present - generations of priests, religious and faithful. eadarghu� �r sinsear oraibh aile. The history of the parishes contained in this book reflects the background of the communities that make up the diocese of Dromore; this, in other words, is the Church described `from below'. It is the story of each parish, its people, its clergy and its institutions, as history has shaped them and continues to shape them. In this foreword I want to look at the parish from a theological perspective. I will reflect on what parishes are and on the part that they play in the life of the Catholic Church. I am addressing the question: "What is the future for parishes?" In Church law a parish is defined as `a certain community of Christ's faithful stably established in a [diocese], whose pastoral care, under the authority of the diocesan Bishop, is entrusted to a parish priest as its proper pastor'. (Can. 515, par.!). While this definition stresses the stability of parishes, the following section provides a mechanism for the establishment, suppression or alteration of parishes. 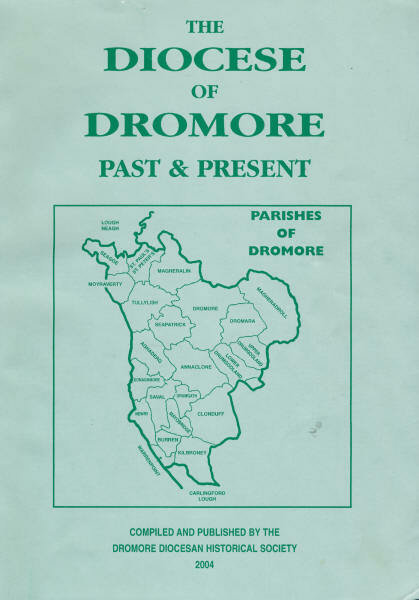 A brief consideration of the history of parishes in Dromore even in the last generation shows the importance of this; Mayobridge and Burrell have been established as separate parishes, having formerly been part of Clonallon; Dromara, while remaining a separate parish, no longer has its own parish priest, and is served by the priests of the neighbouring parish of Magheradroll. The amalgamation of other parishes is a real possibility. It is clear that the pattern of parishes is not static and reflects the ebb and flow of circumstances. The history of parishes is a history of both stability and fluidity, and this will continue to be so. In Christifideles laid, Pope John II's apostolic exhortation on `the vocation and mission of the lay faithful in the Church and in the World', (issued in 1988), there is a reflection on the theological identity of a parish. The Pope acknowledges that while the Church always has a universal dimension, it 'finds its most immediate and visible expression in the parish' (n.20a). People experience what it means to belong to the Church, above all, in terms of their relationship with the parish community in which they live; they are initiated into a parish community at Baptism, First Communion and Confirmation; it is in that community that they witness the faith being lived, celebrated in liturgy and handed on, both by personal experience and in the formal setting of the parish school. This means that the parish is a community properly suited for celebrating the Eucharist, the living source for its upbuilding and the sacramental bond of its being in full communion with the whole Church. Such suitableness is rooted in the fact that the parish is a community of faith and an organic community, that is, constituted by the ordained and other Christians, in which the pastor - who represents the diocesan Bishop - is the hierarchical bond with the entire [diocese] (ibid). In other words, no parish community stands alone; through the celebration of the Eucharist and the ministry of its parish priest, it is linked to a network of parishes in the diocese. In church law, parishes are clustered into deaneries (or vicariates). In Dromore there are five deaneries: Newry, Clonallon, Seapatrick, Shankill and Magheradroll. It is the task of the Dean (Vicar Forane) `to promote and coordinate common pastoral action in the vicariate.' (Can.555, par. 1 .,n.1). We believe simply that this old and venerable structure of the parish has an indispensable mission of great contemporary importance; to create the basic community of the Christian people; to initiate and gather the people in the accustomed expression of liturgical life; to conserve and renew the faith in the people of today; to serve as the school for teaching the salvific message of Christ; to put solidarity in practice .... the humble charity of good and brotherly works. So that all parishes ... may be truly communities of Christians, [Bishops] ought to foster the following: a) adaptation of parish structures according to the full flexibility granted by canon law, especially in promoting participation by the lay faithful in pastoral responsibilities .... For the renewal of parishes and for a better assurance of their effectiveness in practice, various forms of cooperation even in a structured way ought to be fostered among different parishes in the same area (n.20d). From the above, two ideas emerge with particular force: parishes are places where clergy and laity cooperate with each other; parishes themselves need to co-operate with each other. support and guided by the Spirit, these groups will enrich the liturgical life of their parishes and in every way possible foster new life in their communities. These `Core Groups' will also meet at deanery level to support one another and to draw encouragement and inspiration from one another. In this way, the vision of Pope John Paul II will become a reality. However, as parishioners plan for the future it will be important that they are aware of the history of their community. I am confident that many parishioners, both those who have deep roots in their parish and those who have come to live in their parish more recently, will find this book a great resource. I am confident too that, for some, this work will be a stimulus to do more historical research. In recent years in Ireland there has been a growing interest in local history, in Church circles and generally in society. Across the dioceses of Ireland historical societies, through their meetings and journals, have helped to foster this interest and to inform people about the history of their localities. I want to pay tribute to the Dromore Diocesan Historical Society for all its work and, in particular, for its contribution to the production of this book. I pray God's blessing on its committee and members. I wish it continued success in the years to come. President: Most Reverend Dr. John McAreavey, Bishop of Dromore. Honorary Life-President: Most Reverend Dr. F.G. Brooks, Retired Bishop of Dromore. Chairman: Sister Dr. Evelyn Kenny, Convent of Mercy, Newry. Honorary Life-Chairman: Very Reverend Canon Thomas Mooney, Drumgath. Vice-Chairman: Mr. Kieran Clendinning, Lurgan. Honorary Secretary: Dr. Francis Xavier McCorry, Lurgan. Honorary Treasurer: Very Reverend Anthony Dean Davies, P.P. Clonduff. Journal Editor: Mr. Kieran Clendinning, Lurgan. Committee Members: Reverend Fr. Andrew McMahon, C.C., Newry. Dr. Seamus McAteer, Forkhill & Newry. Past Committee Members, now deceased: Very Reverend Patrick Rooney, Drumgooland, R.I.P. Very Reverend Bernard Treanor, Finnis, Dromara, R.I.P. Dr. Jim Fitzsimons, Newry, R.I.P. Mr. John Joe Sands, Loughbrickland, R.I.P. Mr. Patrick Kearns, Newry, R.I.P. Honorary Committee Member, now deceased: Brother Thomas F. Beausang, Newry, R.I.P.